Teak Garden SetsBeautiful premium teak garden sets made of high quality timber. All our garden sets come with a full 10 year guarantee. Bench PlaqueAdd an inscribed bench plaque fitted to your bench with your own wording. 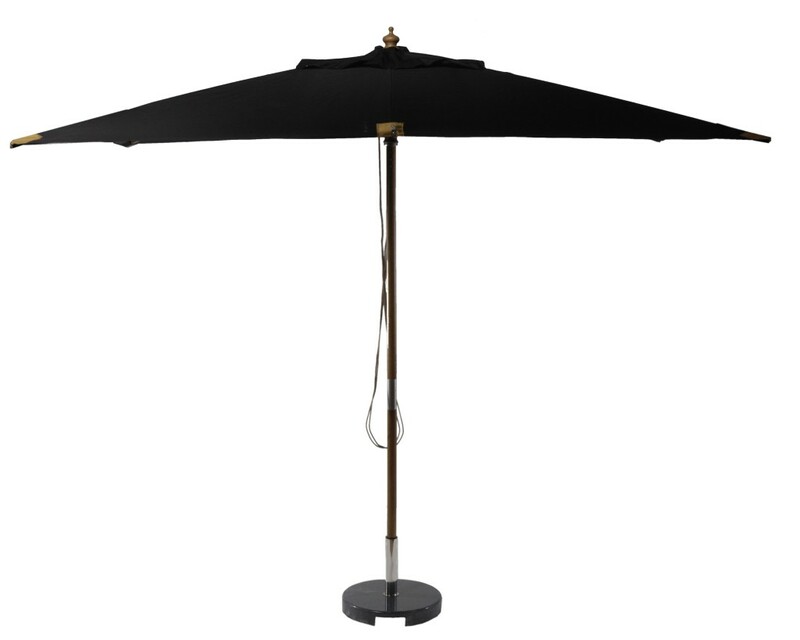 Luxury, high quality and very large black rectangle 4 x 3m garden parasol which is made of hardwearing hardwood. Zipped leather pouches, UV resistant, double pulley system, removable 230gram stain resistant cover, rot resistant, carry bag and quality stainless steel hardware fittings. 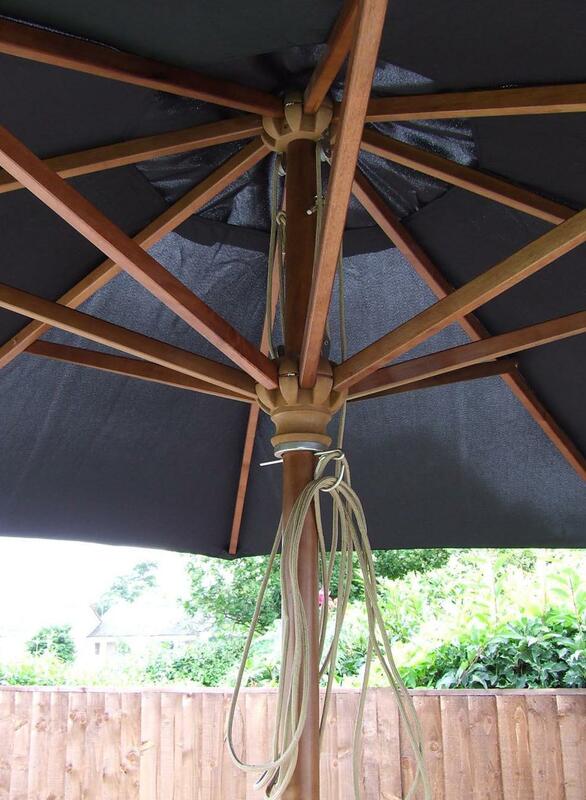 Please note due to the very long parasol ribs this parasol does not close fully when used in conjunction with a table.